Qualcomm® aptX™ audio, from Qualcomm Technologies International, Ltd., has been delivering superior experiences over Bluetooth® for over 25 years, and today there are more than 330 consumer electronics brands worldwide using aptX technology. This guide is intended to help you choose your wireless speakers with confidence, knowing you’ll get the right product for your lifestyle. There's no form to fill in to download this Guide to Wireless Speakers. It gives a brief overview of the different types of wireless speakers available and their uses. Read it if you want to quickly understand which sort of wireless speaker product will suit your lifestyle best. 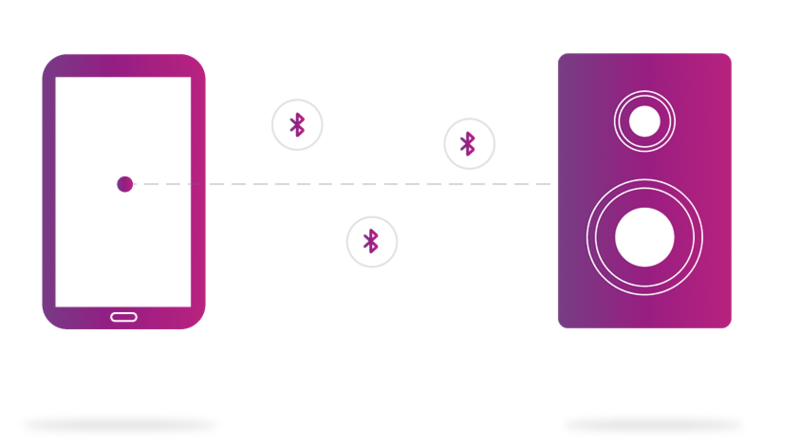 aptX improves the transfer of audio via Bluetooth to support the delivery of a superior sound quality experience. aptX technology powers the wireless sound behind many of the world’s finest smartphones, speakers, soundbars, headphones and tablets.